Upon arriving at the Panasonic Theatre, the world of J.K. Rowling is immediately apparent as you are whisked away and seated by the wizards of Hogwarts. 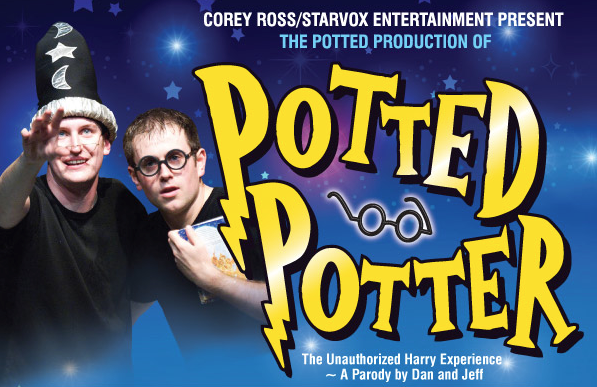 Potter Potter is a voyage into an alternative Harry Potter universe where anything is possible and nothing is off limits. 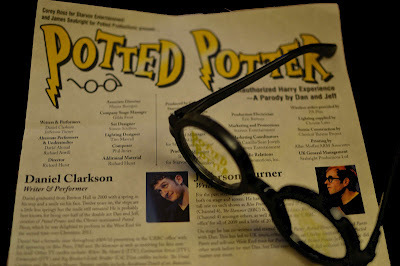 Dan and Jeff, the creators of Potted Potter “Seven Books in only 70 minutes”, successfully amuse the audience with their clever wit and humour. What I experienced in 70 minutes was unadulterated hilarity! I honestly can’t remember the last time I laughed this much. 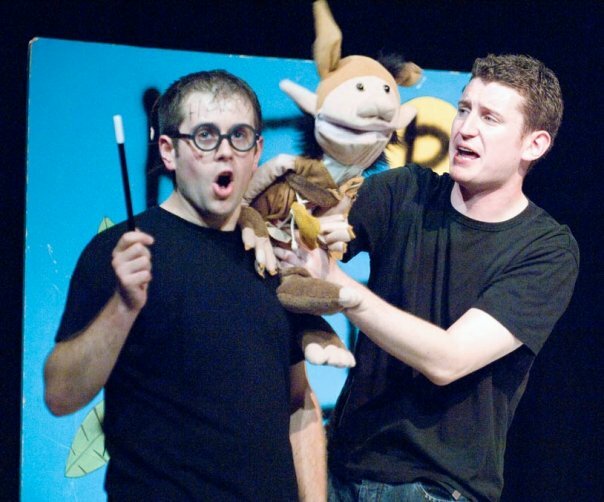 Dan and Jeff managed to make the Harry Potter books and ﬁlms a joyride having you beg the question, “Why did I wait so long to see this?” By mixing improv and scripted theatre, the show allows the audience to participate in the fun. Jeff and Dan’s interpretations of the Harry Potter characters did not disappoint. Jeff as Harry Potter was a match made in theatre heaven and Dan’s interpretation of everyone else (over 300 characters) was fantastic. Each character was broken down into more realistic versions of themselves. Ron was played as a red headed street kid with a slight Ali G inﬂuence was unforgettable. Hagrid was an over the top Scotsman who was barely understandable, and Hermione Granger was a simple mogul girl who reminded me of my own youth. Voldemort was the devil himself, and Sirius Black was the awkward uncle type. How these characters were played together so seamlessly by one man was nothing short of amazing. Where else could you see Voldemort and Harry perform a disco duet rendition of “I Will Survive”? Don’t be fooled. This is a show for all ages. Both children and adults alike will enjoy the time spent on the marathon race through all seven books. You will not be disappointed. Should you wish to keep up with the crowd and avoid embarrassment, you may want to brush up on your Harry Potter knowledge before you go. Also, perhaps some stretching prior to attending may be wise as you never know if you will be asked to partake in a friendly game of Quidditch! 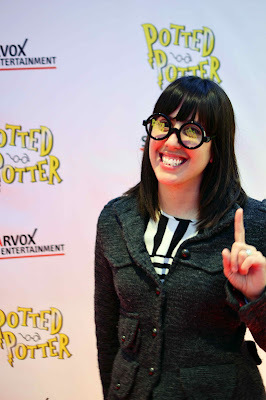 ---Marija M. Mitrovic - The Movie Mama, Aka Harry Potter Fan!